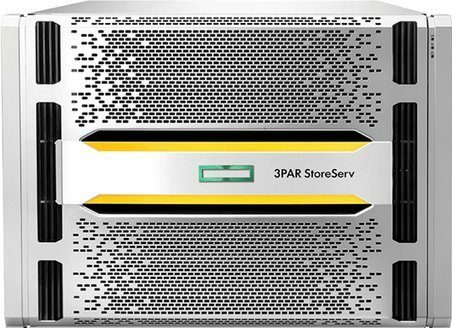 Getting the serial number for your 3PAR is one of those regular things you will need to do when you call HPE. What you will find with the 3PAR is that it has 2 serial numbers. A 3PAR and HPE Serial number. This blog has over 150+ 3PAR posts be sure to check out this collection of the best 3PAR posts. 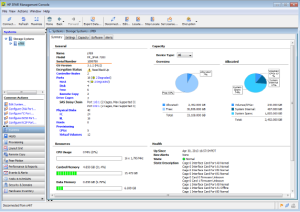 3PAR Management Console – as soon as you log in to the GUI you will be taken to the dashboard view and you will see it here as the third item down on the right, shown in the screenshot below. Under the nodes section of the output you will see the HPE serial numbers listed as scalable serial. And if it is a 3PAR P1000? How to get HP Serial Number? You can see a serial number if you enter showcage -i from the CLI. But I don’t know that HPE use this serial number, normally they just want the serial number of the base unit. Spot on, thanks! I just needed it for documentation and compliance purposes 🙂 Not technical at all! Is there a website that you can enter the 3PAR SN# to get the HPE SN# ?? So I do not have to go back to the Customer, when they give me the 3PAR SN#, which I can’t use. 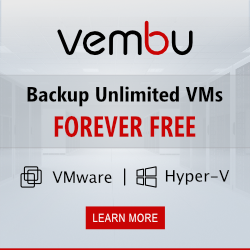 I don’t know of a website that does this, but HPE themselves are certainly able to convert between the serial numbers if you give them a shout. Is there any way to change 3PAR serial number ?? Or create a fake serial number (and it works)??? Because i don’t want uninitialize 3PAR again !!! Hope you give me a solution. Can i enter another 3PAR serial number after the process of reinitialize that you said ?? Do you have an easy way to get the 3par 7400 to display the LTU’s in the Cli ? And furthermore, do you know if a system reset will delete the LTU licenses ?